We’ve all been there…stuck trying to figure out how to electronically sign a document 2 minutes before we need it. Printing and faxing can be a total pain and a waste of time. 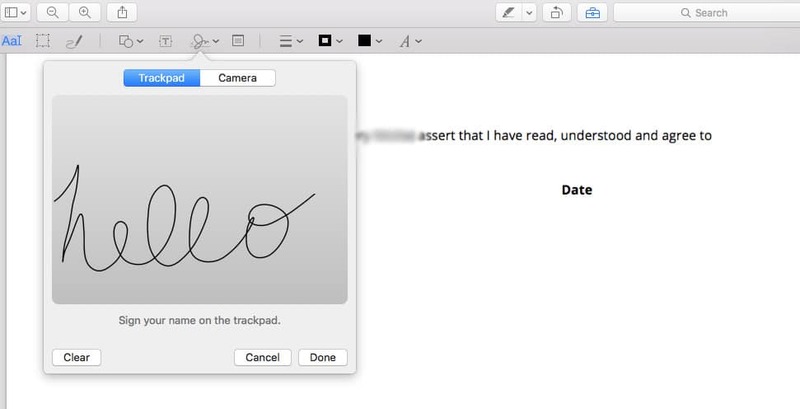 Here’s how to quickly sign a document on Apple devices. PS – it’s way easier then you might think! 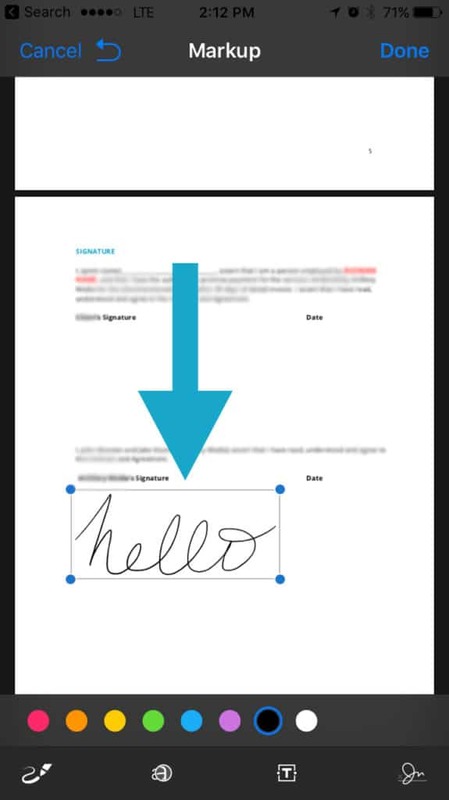 There are two different ways to sign a document electronically on a Mac. 1. Open the PDF file you need to sign in “Preview”. Click on the toolbox icon in the upper right-hand corner. 2. Click on the “signature” icon. Then click on “Create Signature” at the bottom of the list to begin tracking your signature. 3. You’ll see two options – Trackpad and Camera. Click on “Click here to begin” to use the trackpad to record your signature. 4. Record your signature. Click any key when finished and click “Done”. 4. 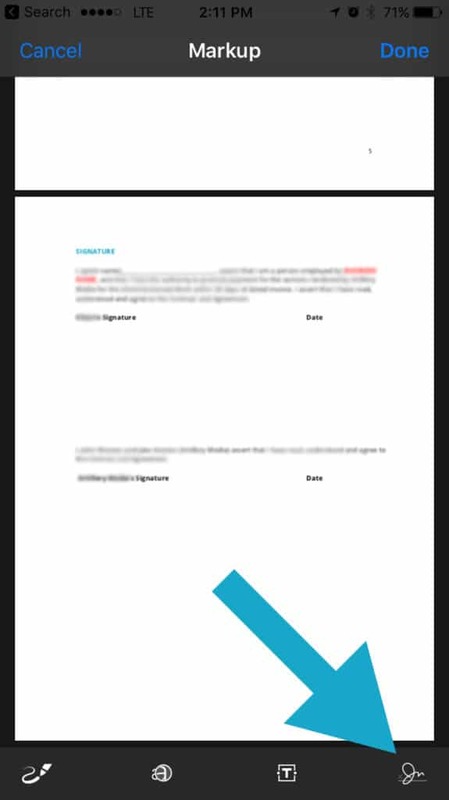 Click on the signature you created and then insert it into the PDF document. The signature can be moved or resized to whatever you wish. 3. Click on the Camera. You will need to sign your name on white paper and hold it visible to your computer camera. Preview will draw a virtual signature. In a pinch? 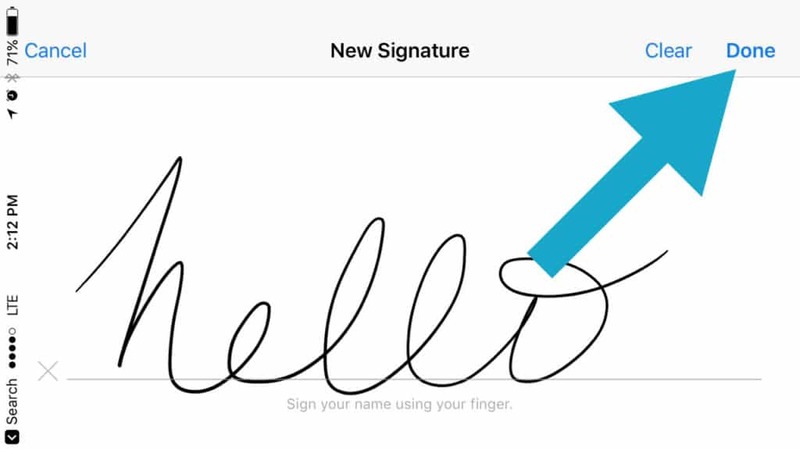 You can now sign a document on your iPhone or iPad and it’s SO easy! It’s all through the “Mail” app on your device. Make sure your iOS is up-to-date before you get started! 1. Open up the “Mail” app on your phone and locate the email with the document that needs to be signed. 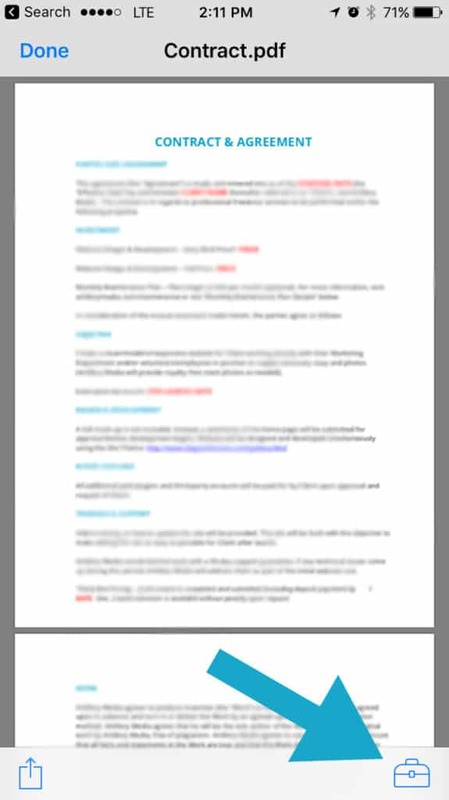 (You can only electronically sign a PDF) Open the email and tap on the attached PDF to preview. 2. Click on the toolbox in the lower right-hand corner of your screen. 3. Click on the signature icon in the lower right-hand corner of your screen and you will see “new signature” with a place to sign with your finger underneath. Once you are done signing, click “done” to save. 4. Drag and drop signature where you want. Boom, you’re done! No more scrambling to find a scanner or fax machine. PS – Look for a post on how to do this on Windows and Android devices next week!